2 km from city center. Near Family Kingdom Amusement Park, Myrtle Beach. Near The Children's Museum of South Carolina, Myrtle Beach. Near Broadway at the Beach, Myrtle Beach. Near Captain Hook's Adventure Golf, Myrtle Beach. 5 km from city center. Near Art Museum of Myrtle Beach, Myrtle Beach. 1 km from city center. 3 km from city center. 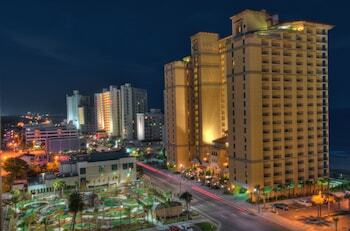 Cityhotels.com offers hotel rooms to fair prices at the most hotels in Myrtle Beach, South Carolina. 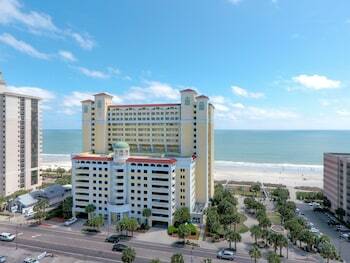 Are you looking for a comfortable and cheap hotel in Myrtle Beach we can recommend Sea Crest Oceanfront Resort, 3 Palms Oceanfront Resort, Caribbean Resort & Villas, Courtyard by Marriott Myrtle Beach Broadway and The Patricia Grand by Oceana Resorts. See our liste with 10 hotel recommendations. 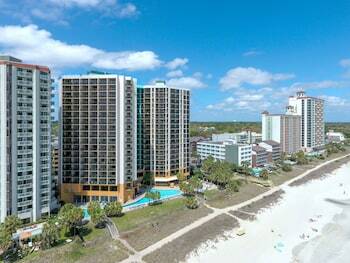 In total we have 172 hotels in Myrtle Beach. Can't find what you're looking for here, you can also look at other places close to Myrtle Beach where we also offer hotel rooms and acommodation. See also our overview of all destinations and popular cities in South Carolina and United States of America.